We’re sorry to report that one of our last remaining charter members has passed. “Jiggs” Warner was one of the original signers of our original charter from 1946. 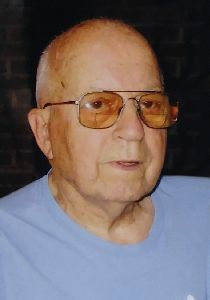 Frank “Jiggs” H. Warner, 95, of Millersville, died Thursday, May 24, 2018 at LGH, after a brief illness. His wife, the late Mildred “Millie” (Witmer) Warner, died in 2014. Jiggs retired in 1985 from Millersville University, where he was a plumber. Born October 5, 1922, in Washington Boro, and a life-long Millersville resident, he was the son of the late B. Frank and Marian A. (Herr) Warner. He was a member of the former Grace E. C. Church, Millersville. A proud WWII Veteran, Jiggs had served in the U. S. Army Air Corps from 1942-1945. Jiggs was one of the last Charter Members and a Life Member of the Millersville/Manor VFW-Post #7294 and the former Millersville Jaycees. Jiggs enjoyed working in his garden and sharing his harvest with family and friends. He enjoyed spending time at the cabin he built in Eagles Mere, known as Fern Top. He will be lovingly missed by his two sons; Barry L. Warner, of New Holland, and Douglas F. Warner, of Lancaster; a granddaughter; Tracy, wife of Kurt Bemesderfer, of Mountville and two great-grandchildren; Kaitlyn and Kurt, Jr. He was also preceded in death by two brothers; Richard H. Warner (1986) and Robert H. Warner (2014). Relatives and friends are respectfully invited to attend the funeral from the Andrew T. Scheid Funeral Home, 320 Blue Rock Road, Route 999, Millersville, PA 17551 on Wednesday, May 30, 2018 at 2:30 p.m. (Viewing 1:30-2:30 p.m.) Interment will be held in the Millersville Mennonite Cemetery, Millersville, PA. Kindly omit flowers. Memorial Remembrances can be made in memory of Jiggs to the Millersville/ Manor VFW-Post #7294, 219 Walnut Hill Road, Millersville, PA 17551. PLEASE NOTE: We’re sorry to report there will NOT be a Memorial Day Service at the Post this year. Here is a list of other events taking place that day.